So you want to firm up the front suspension some and get rid of those rubber bushings. 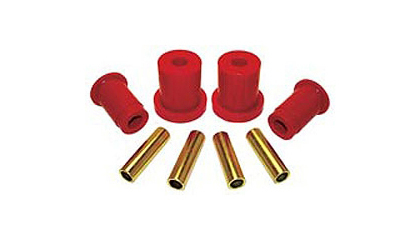 You can upgrade the Bushing to Polyurethane easily as they are available through many after market suppliers. There are other changes you can do while you are working with front control arms as there were 2 versions of the front control arms. The 1987-1989 300zx models came from the factory with longer front control arms. This length added an additional 10mm to the arm for a wider track width on these models. 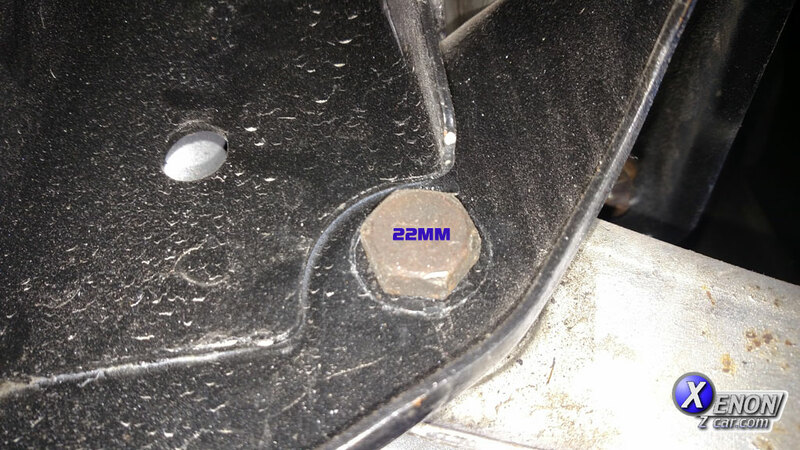 You can used this extra width on the earlier models 1984-1986 to add negative camber to the wheels about -5 degrees. This can help with turn in grip. Start by jacking the front of the car up using the lifting points and then securing it with jack stands. Now remove the front wheels and then calipers and wiring them up out of the way, being careful not to damage the hoses. Now you can begin to remove the control arms, you have to remove the sway-bar end-link from the arm. This will be a 14mm nut and Bolt. 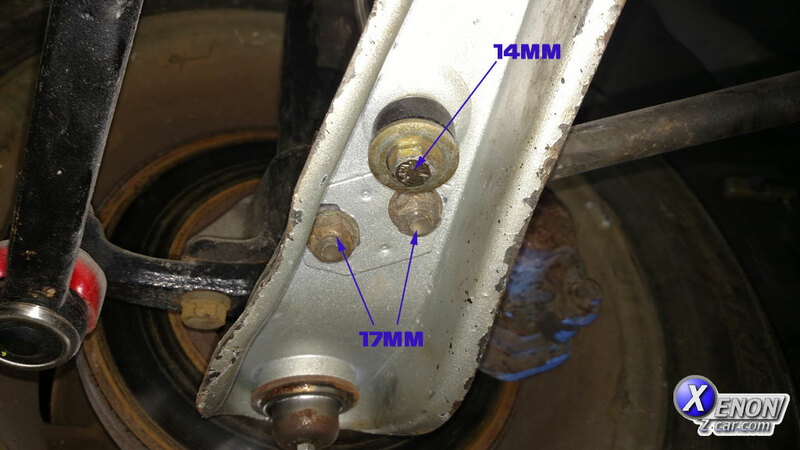 Now remove the cotter pin and loosen the 19mm crown nut on the tie rod end. Once loosened give is a good crack with a dead blow hammer to knock it from the Steering knuckle. 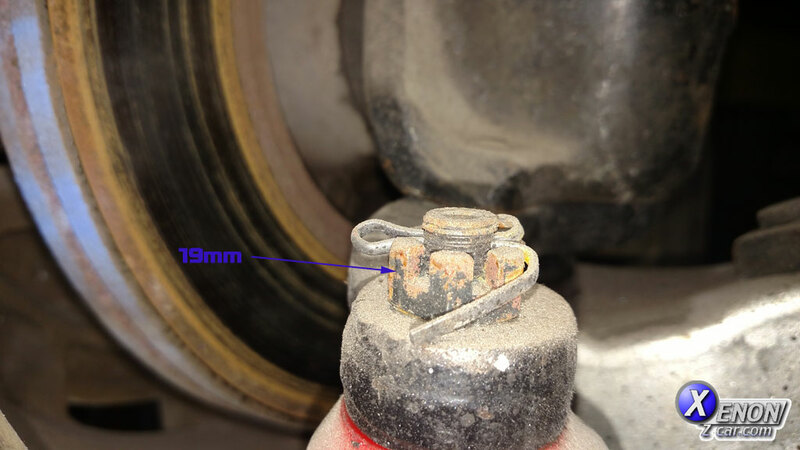 Once loose remove the crown nut and remove the tie rod from the knuckle. Next remove the tension rod nuts on the bottom of the arm, These are 17mm in size. Once this is removed you can remove the 2 17mm bolts on the bottom of the strut that attach the strut to the steering knuckle. The last thing to do is to remove the 22mm bolt holding the arms to the cross-member. 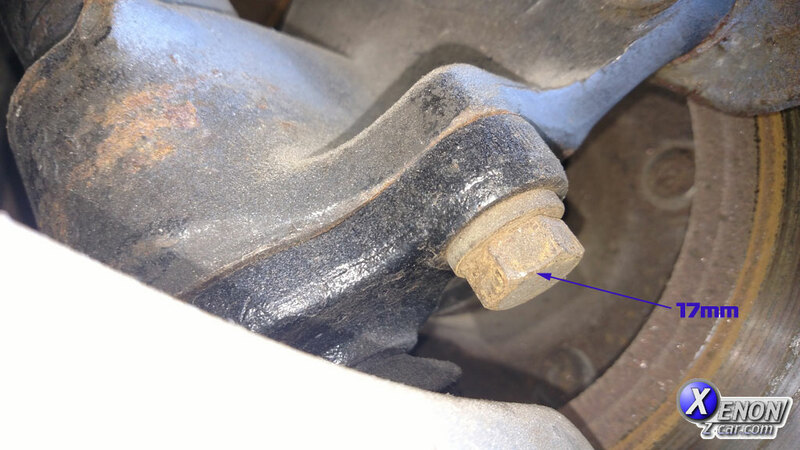 Once this bolt is out the control arm will be free to come out completely. Once the Control arms are out of the car it is time to remove the bushings. The Best way is to use a torch and Burn the rubber out of the control arm as this will leave the outer sleeve that you need for the new bushings. Once the rubber is burnt out of the control arm you will want to clean up the outer sleeve a Dermel with a flap wheel makes short work of this but it can also be done with some sand paper and a scotch brite pad. Now using the grease that comes with the bushings, grease the sleeve in the control arm and press in the new bushings. Reassemble the front suspension the same as it came apart using the Torque specs listed below.